PST Lawns supply and install premium quality artificial grass for gym surfaces that can be used for all types of training. Our hard wearing artificial grass is low maintenance, less abrasive and will last for years making it an excellent choice for agility training and drills. 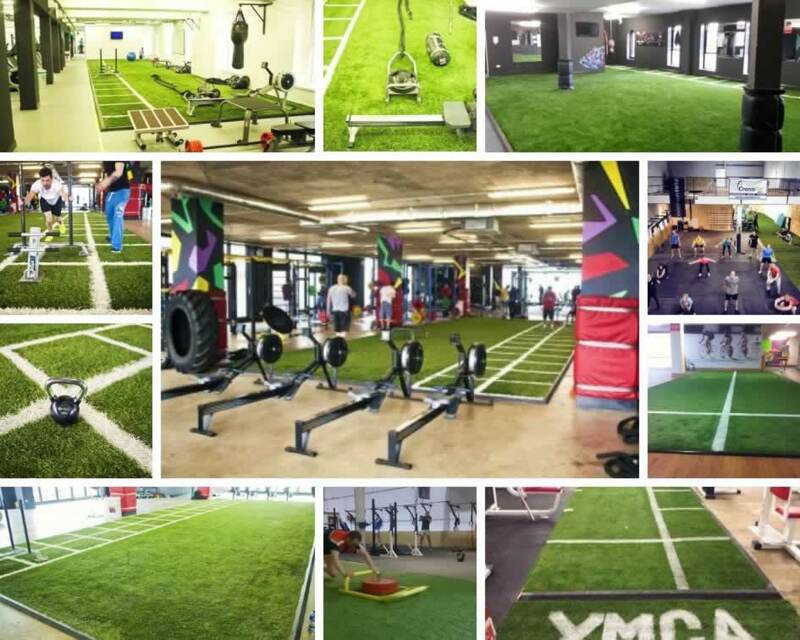 Our artificial grass is perfect for functional training zones and gyms. It’s incredibly tough and durable yet creates a soft, smooth surface that is ideal for prowler training, sleigh use, circuits and more. Sleds move smoothly across the surface and it’s also perfect for sprint training as it’s easier on the joints. It’s also excellent for the use of heavy weights without damaging the floor surface. Our team of experienced installers have worked with gym owners all over Ireland. We offer a variety of colours and can also add in prowler tracks etc. If you want to upgrade your gym facility get in touch today. LoCall: 1890 917 006 | Email: hello@PSTlawns.ie or click HERE to contact us directly and one of our team will get back to you straight away. Pictured below: Recent installation projects for gyms and functional training zones.